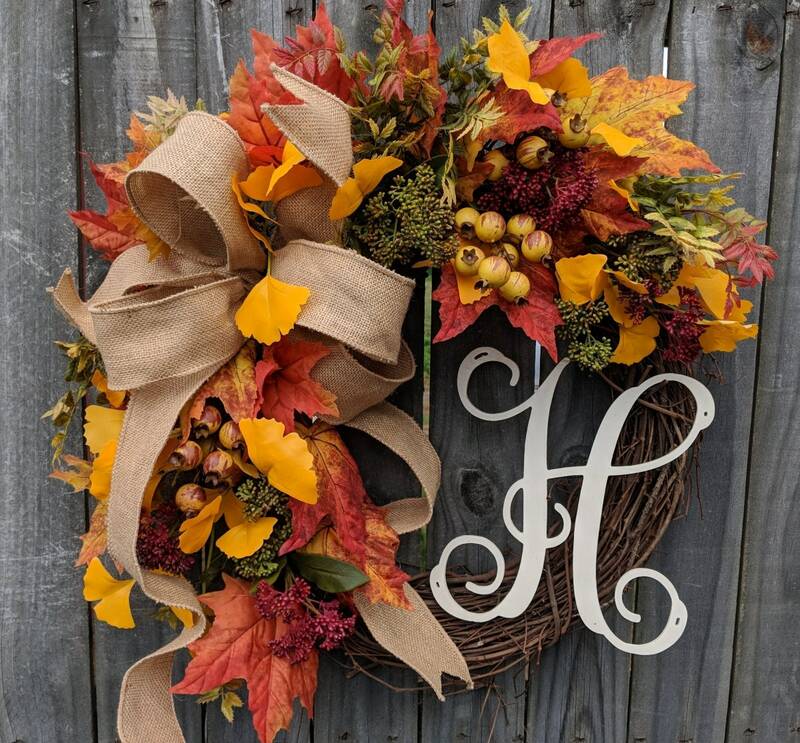 This beautiful wreath is perfect to add a touch of fall to your entryway or interior! 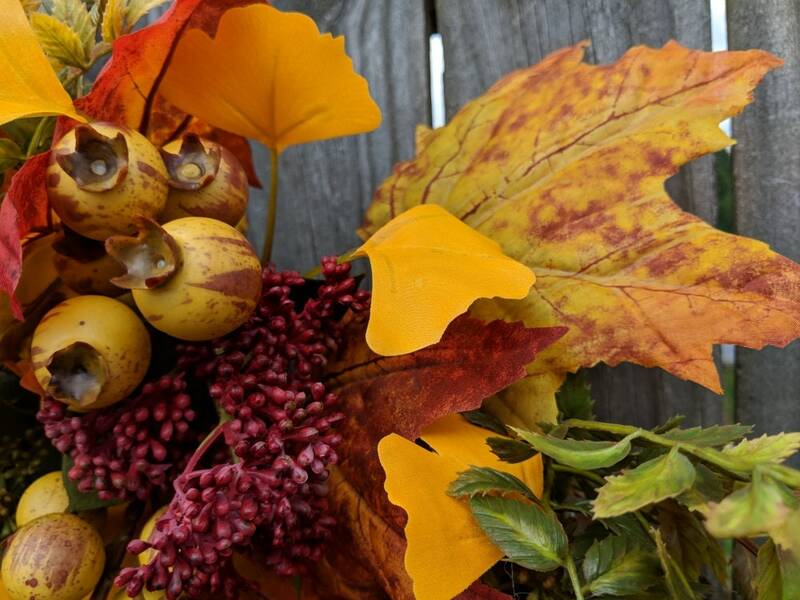 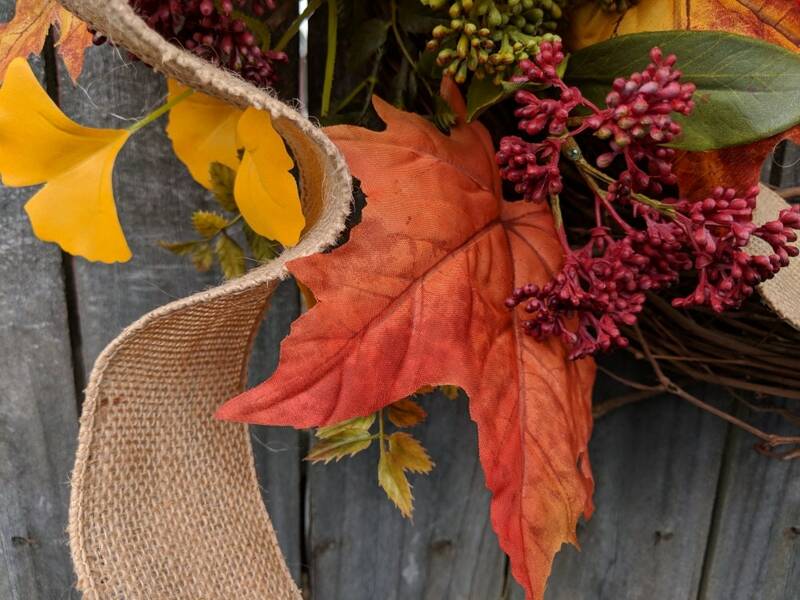 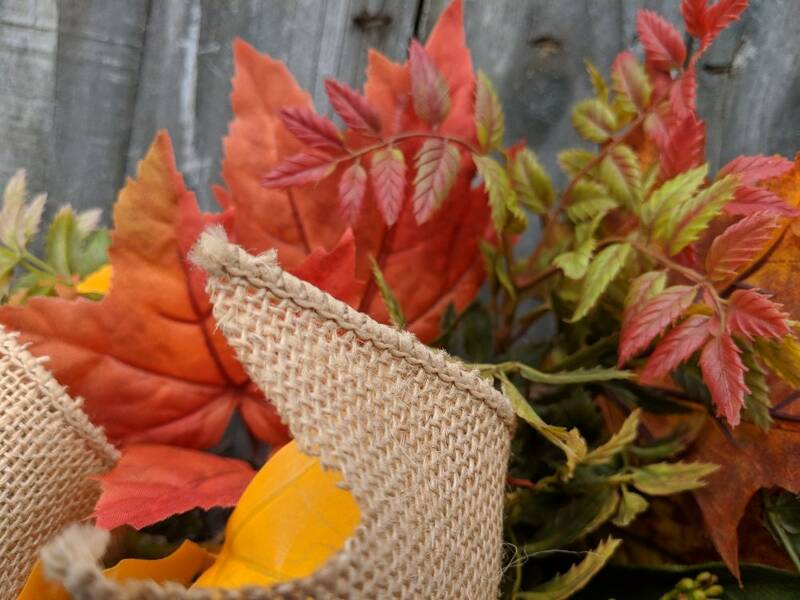 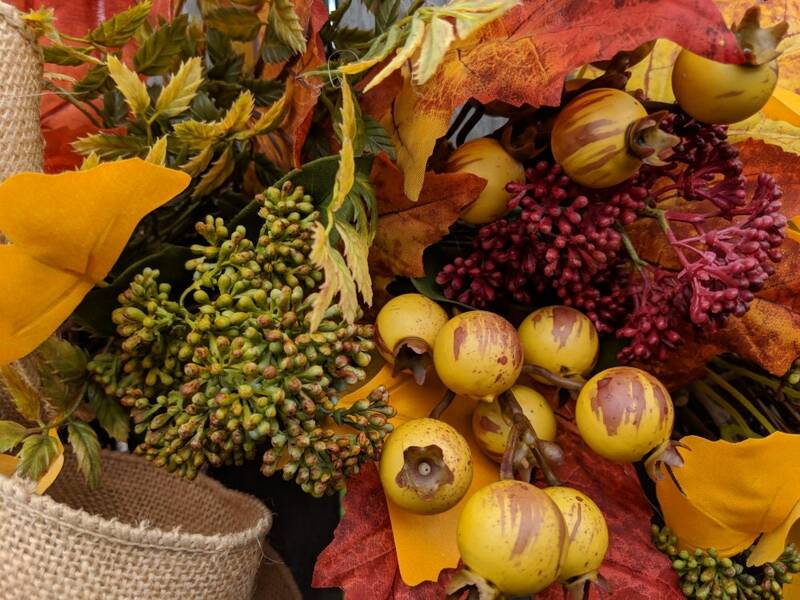 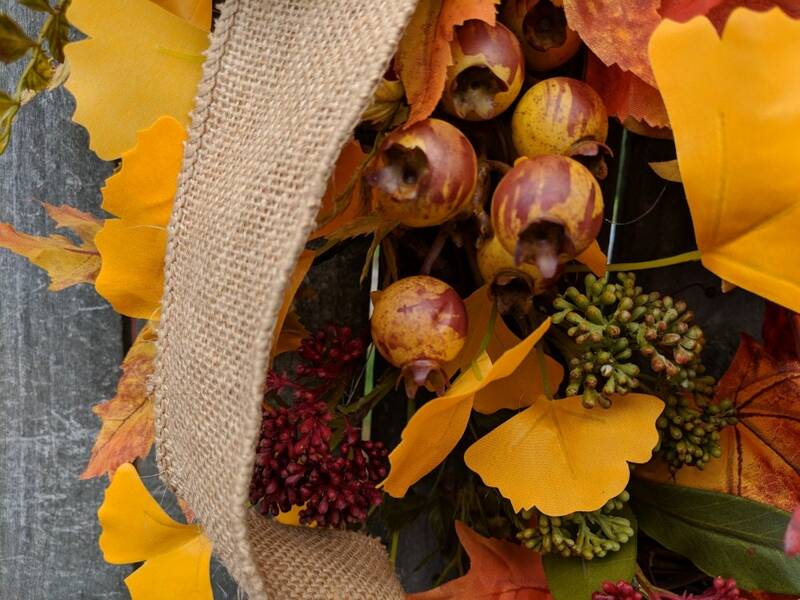 A substantial wired burlap bow is surrounded by berries, fall leaves, and fall buds. 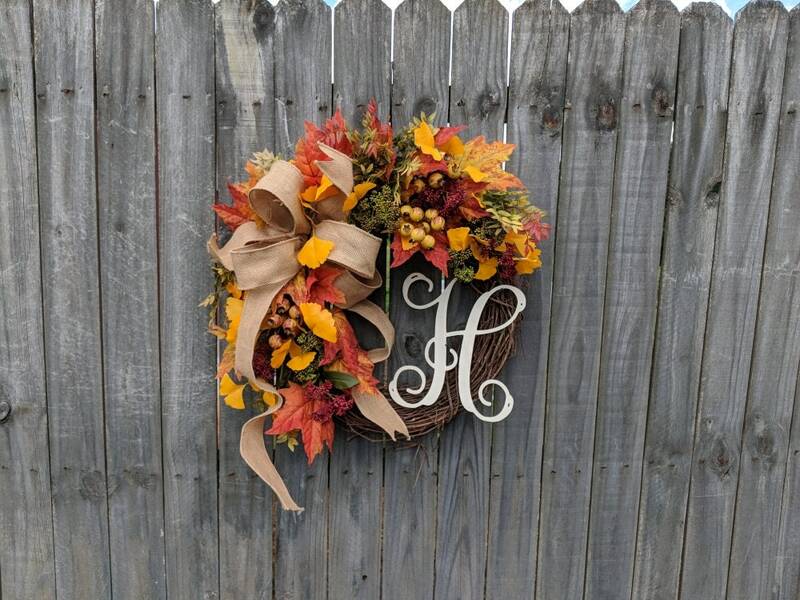 This wreath's design has a light and airy feel where the grapevine base is visible in places. 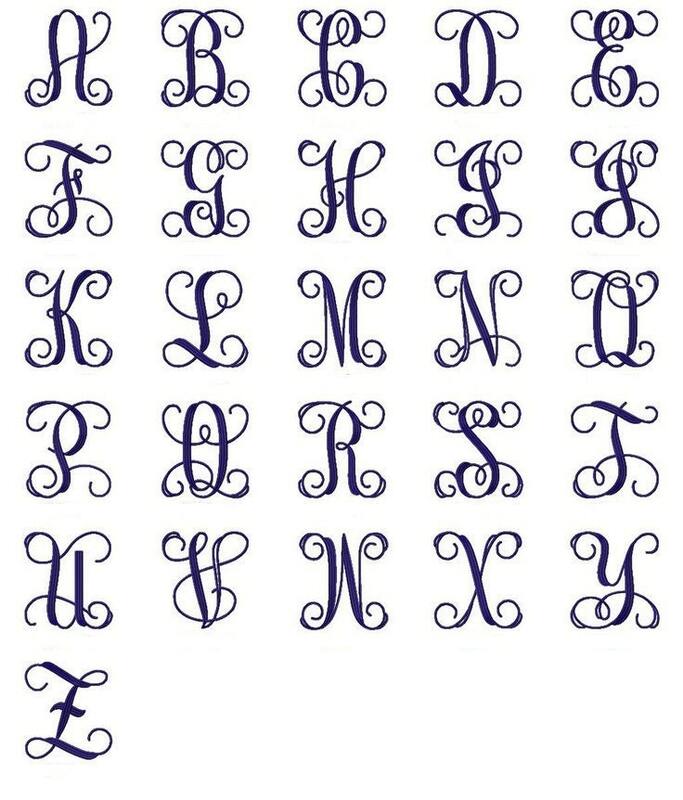 An the option of adding an antique white monogram provides a lovely accent.